One of the difficulties that all psychiatrists encounter when they see patients for less than fifty minutes is how to be empathic while on the run. Nowadays the psychiatrist, often behind schedule, has but a Twenty Minute Hour to evaluate a patient's level of functioning and current symptoms and side effects; to judge their responsiveness to medication; to do some teaching about medication and/or disease management; and finally to complete the chart. Prime Time gives pointers from an experienced clinician on how to deal more effectively and efficiently within time constraints. It is designed to assist psychiatrists with medication and evaluation, and to allow for psychotherapy in addition to the requisite psychopharmacology. 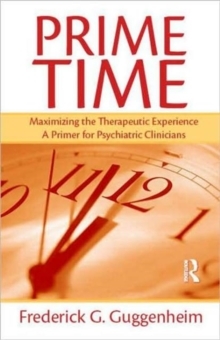 The primer provides a number of short cuts and clinical maneuvers in initiating and ending sessions that can help promote positive transference, assist effective flow of information, and aid in closing out the session without falling behind schedule.